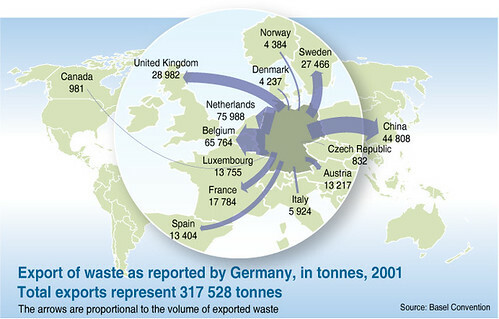 In 2000 Germany reported sending more than threehundred thousand tonnes of waste to 14 countries. All countries appeared to receive a broad combination of hazardous waste apart from China, which received nearly 50 tonnes of household waste. In year 2000, Germany was amongst the top importers, bringing in over 1 million tonnes of waste from 38 countries. 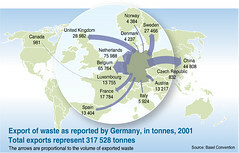 Most of the waste came from the Netherlands, Italy, Luxemburg and Belgium and contained a combination of waste streams.